Economy Secretary Keith Brown said yesterday that increased capacity at the west London hub would be the “best deal for Scotland”. A spokesman for Aberdeen International Airport – which has consistently supported a Heathrow option because of the scope for onward connectivity – welcomed the intervention, as did Inverness Chamber of Commerce chief executive Stewart Nicol. He said Heathrow’s plans recognised the importance of regional connectivity to airports like Inverness, both in terms of freight and passengers. “Both are vital to the development of the Highland economy in terms of in-bound international tourism and ease of access to international markets for the region’s businesses,” he added. But a Gatwick spokesman expressed “surprise” at the Scottish Government’s agreement of a memorandum of understanding in relation to a proposal he claimed would “undermine Scotland’s connections with the world”. Mr Brown also came under fire from John Finnie, Scottish Greens transport and rural economy spokesman, who pointed to the impact on the environment and local communities. 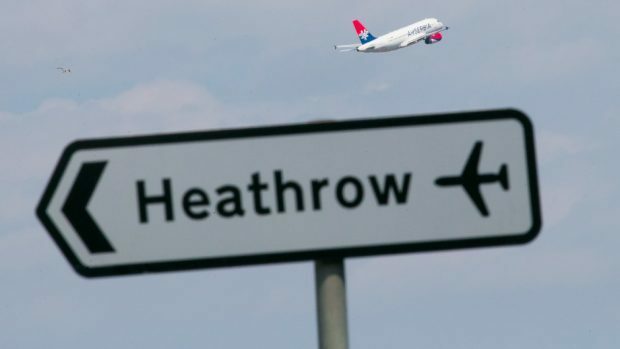 The Tories have faced accusations of kicking the Airports Commission’s final report – which recommended a third Heathrow runway – into touch after a number of delays to the UK Government’s decision. Last week, UK Transport Secretary Chris Grayling refused to give an exact date, but said an announcement would be made “shortly”. The Press and Journal understands one is expected this or early next week. Mr Brown said expansion at Heathrow would lead to the creation of 16,000 new jobs in Scotland and a reduction in landing charges paid by airlines operating services from Heathrow to airports north of the border. He also flagged up the potential for a “substantial increase” in direct flights between Heathrow and Scotland. SNP Highland MP Drew Hendry, who has repeatedly urged the UK Government for a speedy decision, called the move “a significant development”. Heathrow chief executive John Holland-Kaye claimed a third runway would “work for every region” of the UK.